KA has been learning the PYP profiles of learning. The first one is PRINCIPLED. This means doing the right thing. We read Lily’s Purple Purse. We talked about what the word means, how it relates to self-control and our rules/routines/classroom agreements, acted it out, and wrote a reflection at the end of a time we were principled that day. We did some activities based on the story as well. 2. This week we are focusing on CARING. We have learned how this means being kind to others. 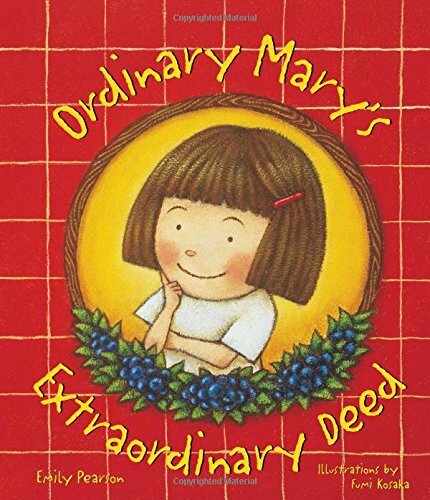 We have read the book Ordinary Mary’s Extraordinary Deed. After talking about how doing a nice thing helps others do nice things because it makes them happy, we explored ways we can do caring acts for others. Then we drew five things we could do to help someone by showing kindness, such as writing “I Love You” on a card and drawing a picture. “These cards we are going to give to the person to show happiness.” From a KA student. Posted on January 15, 2019 by ksundquist	• Bookmark the permalink.